File photo of a Malindo Air aircraft. KUALA LUMPUR: Malindo Air has affirmed that one of its cabin crew was among eight individuals arrested by the Australian Federal Police (AFP), for allegedly trying to smuggle drugs from Malaysia to Australia. Malindo Air in a statement to Bernama said the female cabin crew was arrested at Melbourne International Airport by the Australian Federal Police (AFP) on Jan 7. “To date, however, we have not had any official communication either with our staff or from the AFP on the said detention. “We had nevertheless duly raised the matter with the Malaysian Consul General’s office in Melbourne upon learning of the said detention,” according to the statement. Malindo Air also said the airline had suspended the cabin crew with immediate effect pending termination and it was ready to co-operate with all the relevant authorities be it in Australia or in Malaysia regarding the matter. “Given all that, we know to date and based on the findings of our internal investigations, we are confident that this arrest appears to be an isolated incident arising out of a crew member’s misconduct. 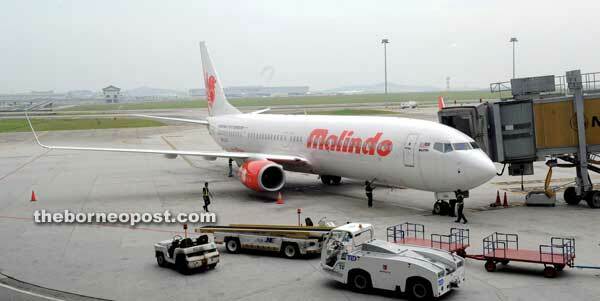 “None of the remaining Malindo Air’s crew on the said flight were detained,” it added. International media today reported that an employee of a Malaysian airline was among eight people arrested in Australia on charges of trafficking more than 14 kilograms (kg) of heroin, cocaine, and methamphetamine worth AUD$20 million.